We hope everyone had a hoppy Easter! Thank you to the 1100+ visitors that came to participate in our Easter celebrations with us at our annual Easter Family Night on March 26, 2018! The evening was filled with incredible activities and experiences for all ages. 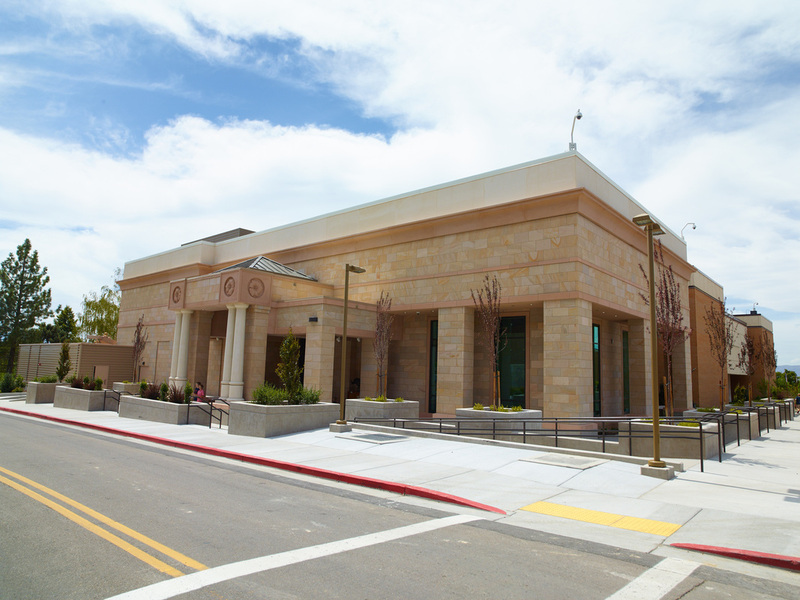 Patrons searched high and low to find the 40 colorful Easter eggs that were hidden throughout the museum. For every 10 eggs found, they were rewarded with a piece of candy! 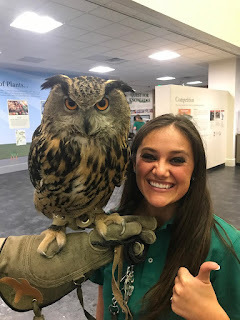 Some feathered friends came to visit the event, with live owls, falcons, and hawks roaming the museum for visitors to see up close. While the birds weren't too interested in searching for Easter eggs, they were happy to sit still and take pictures with anyone who wanted an awesome photo! For those who wanted to get their craft going, two Easter art projects were available for everyone to do. 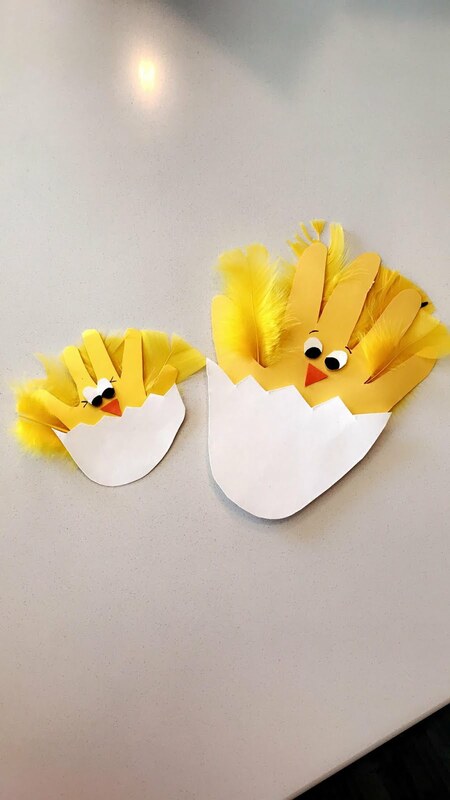 The projects included paper weaving, and creating hand print chicks to nestle into eggs. 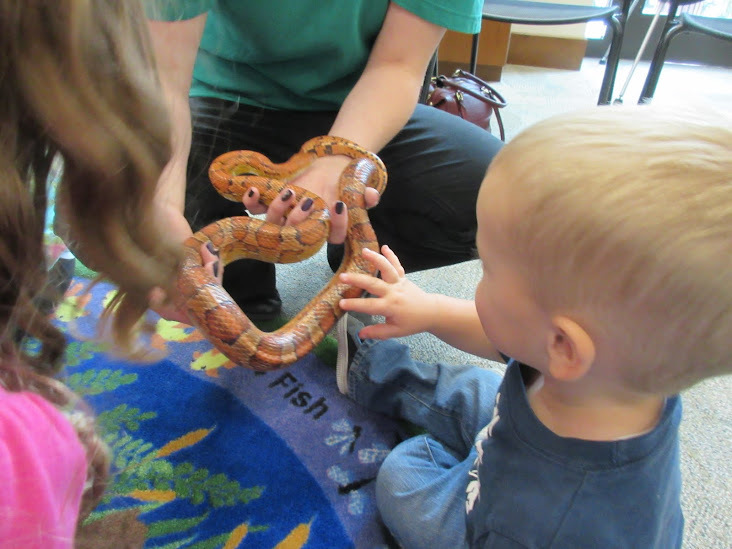 Visitors also had the opportunity to come face to face with the museum's animals at our live animal shows, and were even able to touch one of our snake friends! Some even faced their fears and tried reaching into our tarantula environment to grab candy. To capture a memory of the event, an Easter themed photo booth was available for patrons to take picture with some of our animal specimens. All in all, it was an evening filled with fun, family, and friends. 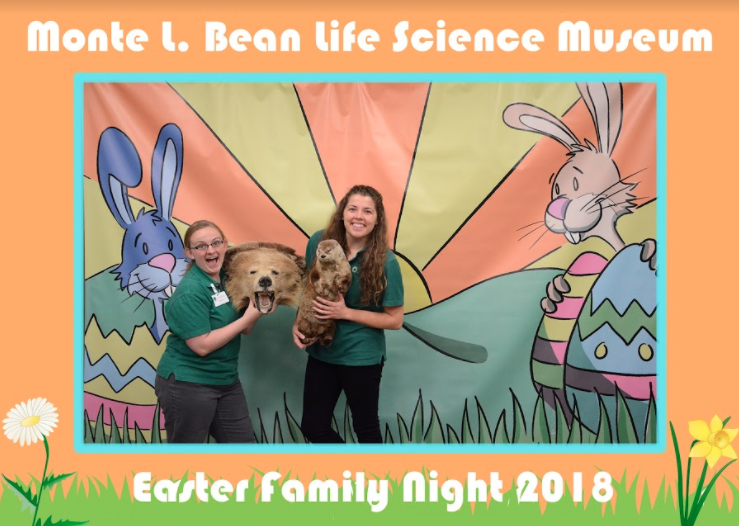 Make sure to join us next year for our annual Easter Family Night!